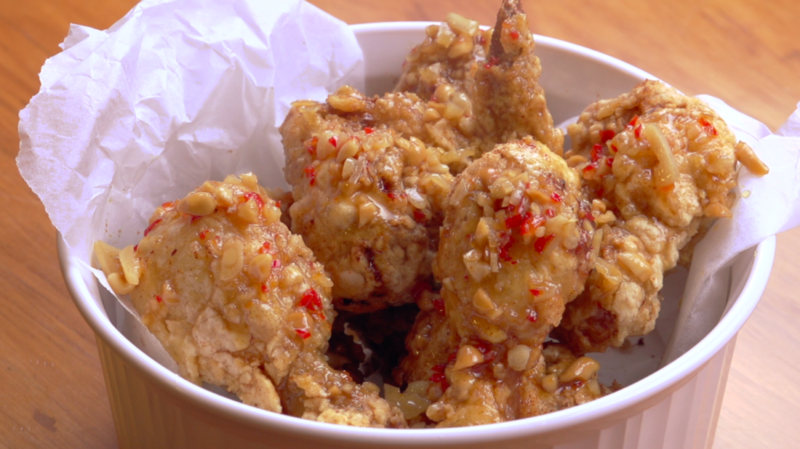 All Foodies, young and old, love crispy fried chicken. This recipe adds a fragrant Asian sticky sauce with a little kick to add a little flare to an old favourite. For best results, be ready to serve and eat when the frying is done. Marinate chicken drumsticks, overnight or a few hours if you don’t have time, in the garlic powder, onion powder, salt and water. Dredge the marinated drums in potato starch, then in the egg wash, and then once more in the potato starch. 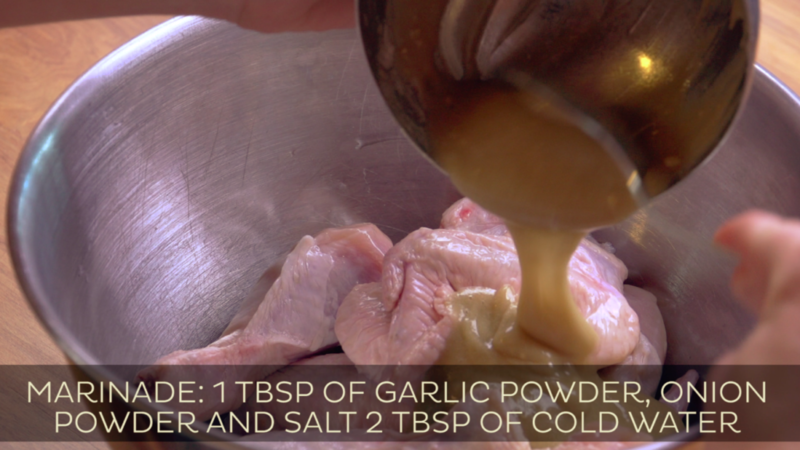 Add the chicken drumsticks to the oil and reduce temperature to medium – low. 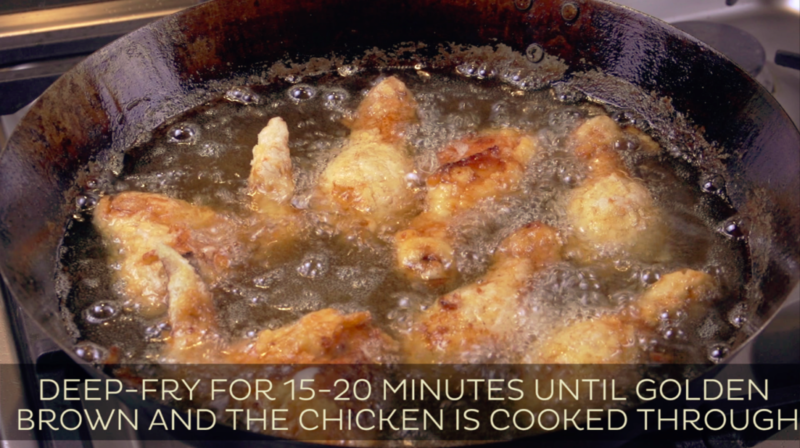 Deep fry for 15 – 20 minutes until the chicken is a lovely golden brown colour and cooked all the way through. 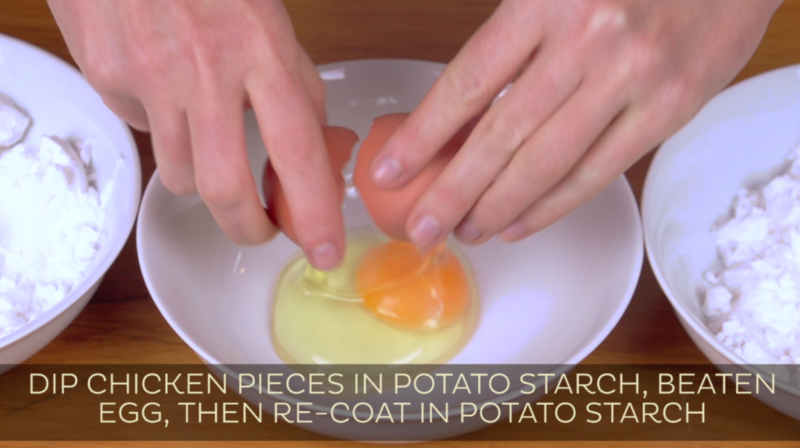 To test if the chicken is done – cut into a piece and the juice inside should be clear. While the chicken is finishing cooking, make the sticky flavorful sauce in a saucepan by lightly frying off the finely sliced chilli and garlic in a little oil. Add to the saucepan the water, brown sugar, peanuts, rice wine vinegar, rice soy sauce, and rice potato starch. 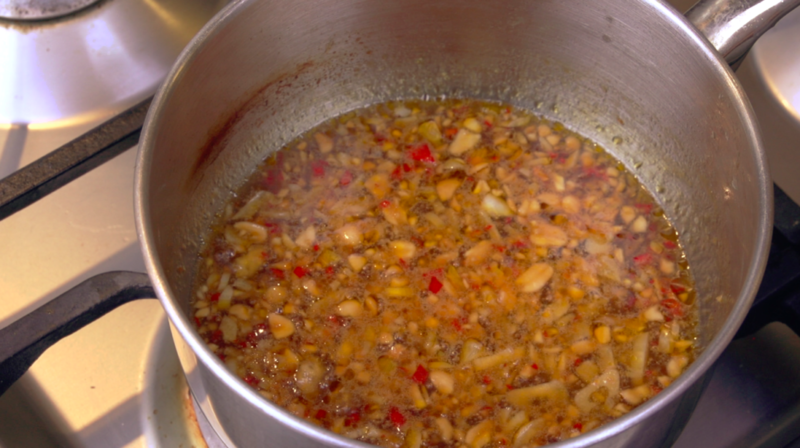 Simmer and reduce until it resembles the consistency of a sticky sauce. 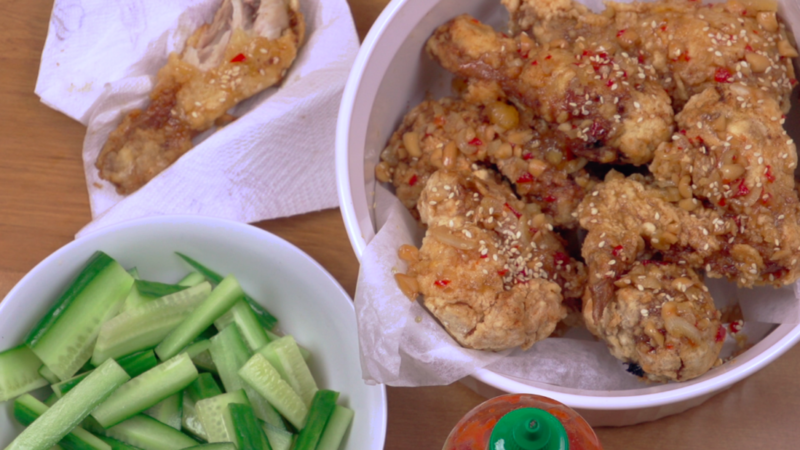 Pour over the cooked chicken drums or serve on the side as a super tasty condiment to go with it. 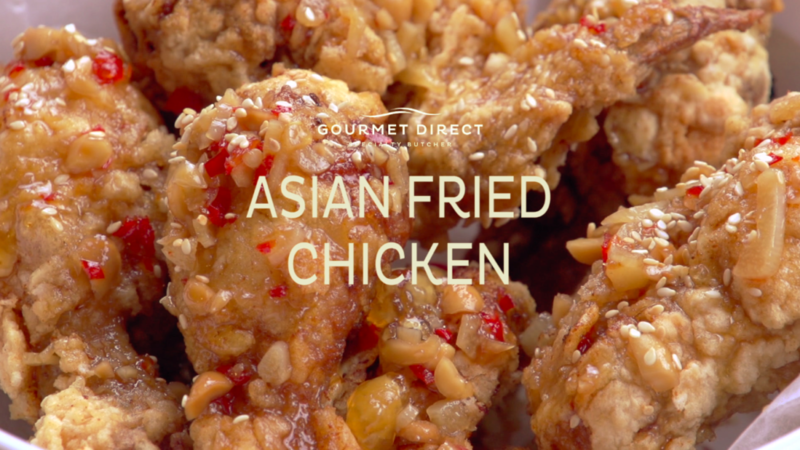 Garnish with the sesame seeds and you have a dish with an Asian fusion twist.